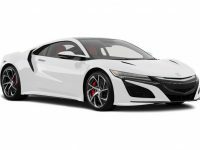 Acura is widely known as the luxury wing of dependable Japanese manufacturer Honda. 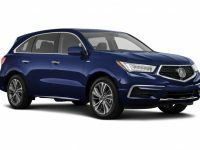 Hondas are known for their reliability, power, and dependability, and any Acura car worth its salt has those traits in spades. From the virtually maintenance-free Acura TSX to the luxury sedan Acura RL all the way to the luxury crossover SUV Acura RDX, Car Leasing Queens has an enormous inventory of this wonderful luxury brand that can allow us to give you the best lease deals, bar none. We are based right around the corner from you here in our shared neighborhood of Queens, NY, and we are willing and ready to work with all customers on their leasing needs from day one all the way to closing. 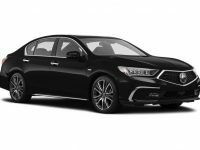 A leasing process can be daunting, but the prospect of getting behind the wheel of a glamorous luxury brand like Acura gives us the chance to work closely with customers to make sure their financial and credit ducks are in a row. 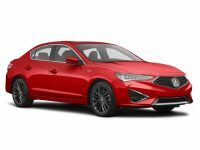 Give us a call right away at 347-732-2203, and do not forget to check out our online showroom to see what other Acura auto deals we currently have in stock today. You deserve the chance to drive a new car like an Acura, and we can get you the lease deals that you deserve. Acura Lease Deals – How Does The Process Work With Car Leasing Queens? If you decide that an Acura car is the right call for you, then we can get started. Maybe the slick compact ILX caught your eye, or you want the size and comfort of a luxury sedan like Acura’s flagship RLX. Regardless, let’s say you’ve picked out the right option on one of our online showrooms. You can then work with our customer service professional team to get started on all of the next steps. A down payment is negotiated for an auto lease agreement, as is a monthly leasing payment that will last for the duration of the car lease. The good news is that virtually all of this can be done online in most cases, and our auto deals team can work side by side with you throughout to make sure that you get the best bang for your leasing buck, no questions asked. We can work with you regardless of your credit or financial history, and we are able to get the best deals for customers of all backgrounds and financial situations. It’s what we do for our work, and we take it very seriously. Getting you the deals you need and into the car you want is why we are here, and why Car Leasing Queens is the leader for leasing services here in Queens, Queens, especially for Honda’s luxury line of Acura. Give us a call today or check out the online showroom, and let’s get started working with you right away.